The “Value-Added” calf sales will begin in October. Therefore some of the required weaning dates are only a few days away. 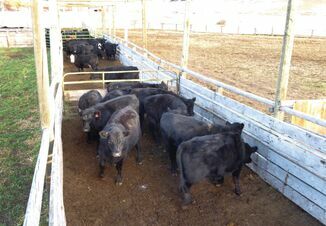 Most of the “Value-Added” calf sales require that the calves are weaned at least 45 days prior to sale date. Some cow calf producers may wonder why the post-weaning period needs to be so lengthy. Data from Iowa from over a nine year period in a couple of their feedout tests compared the health status of calves weaned less than 30 days to calves weaned longer than 30 days. Data from over 2000 calves were summarized. Calves that had been sent to a feedlot at a time less than 30 days had a higher incidence of bovine respiratory disease (28%) compared to calves weaned longer than 30 days (13%). The percentage of calves that required 3 or more treatments also was significantly different (6% versus 1%) in favor of calves that had been weaned more than 30 days. In fact the calves weaned less than 30 days were not different in health attributes than calves that were weaned on the way to the feedlot. A summary of this lengthy study can be found on line at http://www.extension.iastate.edu/Pages/ansci/beefreports/asl-1648.pdf. 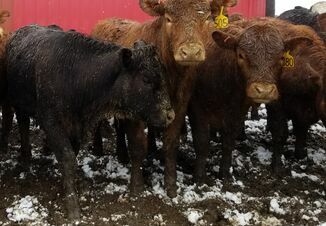 Vac-45 calves apparently have a real advantage in terms of health compared to calves weaned for less than a month or those weaned on the way to the livestock market for sale date. Certainly part of the “value” in value-added calves can be attributed to properly applied vaccinations. However, there is little doubt that a portion of the improved health is due to the length of time between weaning and the movement of calves to the next owner. 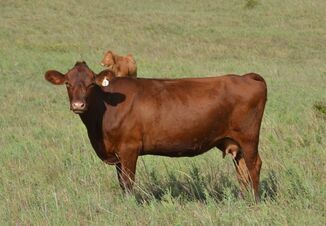 A listing of the 2018-2019 Oklahoma Quality Beef Network (OQBN) value added calf sales can be found on the OQBN website. The appropriate weaning dates and contact information for verification and sale information can be found at that address as well. The weaning dates are coming up very soon for the October sales. Therefore producers with calves that meet those guidelines should make the appropriate contacts soon. The OQBN website is http://oqbn.okstate.edu .